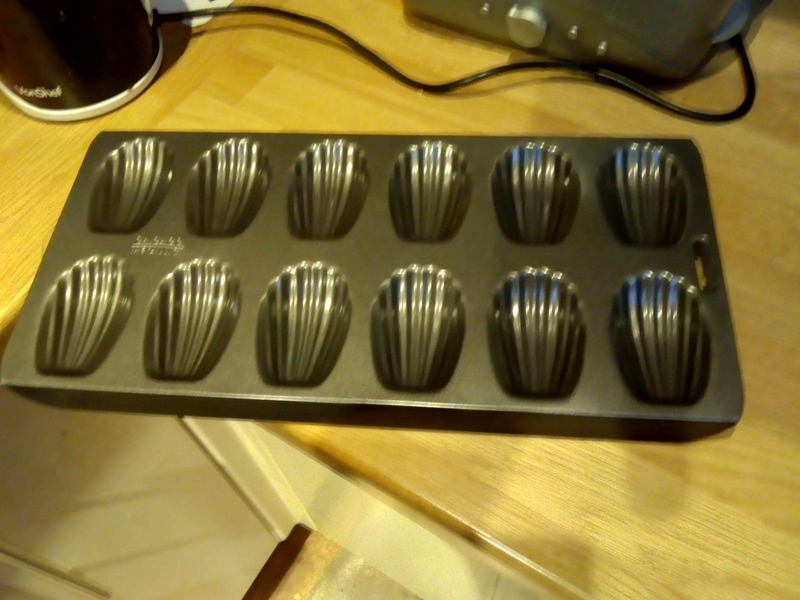 Madeleines are small sponge cakes popular in France. They are baked in a special shell shaped mould to give them their distinctive shape. I bought one and was ready to go! 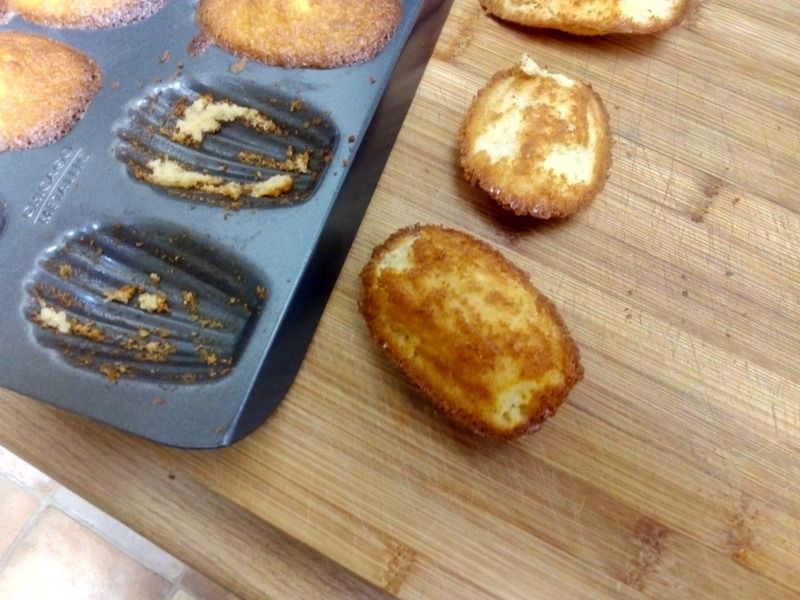 Preheat the oven to 180C and grease/flour your madeleine mould. 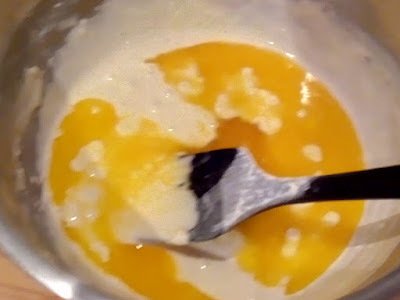 In a mixing bowl whisk the eggs together with the vanilla extract and lemon zest. 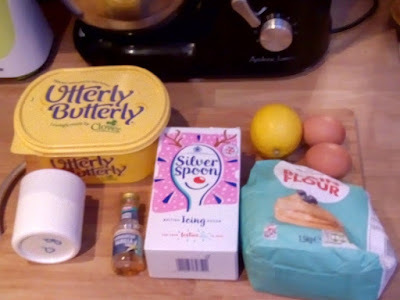 It smells lovely! Combine the flour and baking powder then sift it into the egg mix. Fold it in gently. Next, pour in the melted butter. Stir this in well. 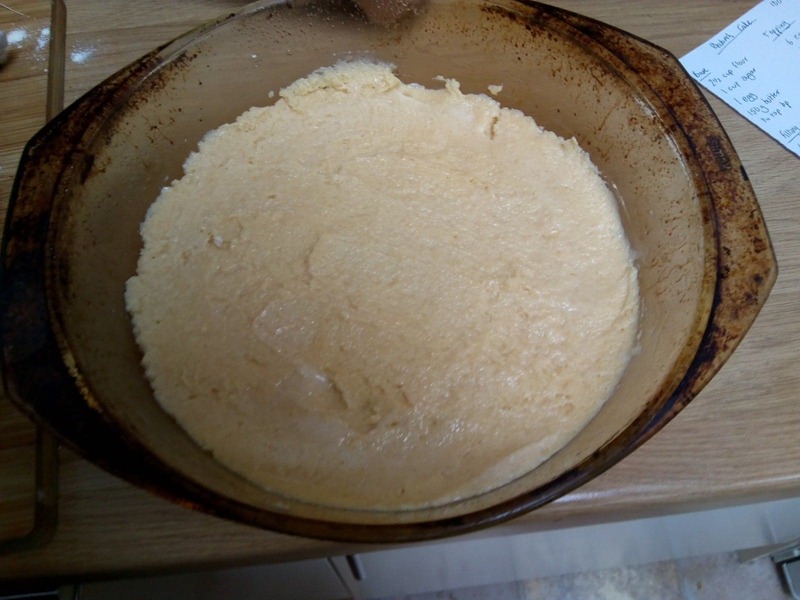 Spoon into the prepared mould making sure to only fill 3/4 full. 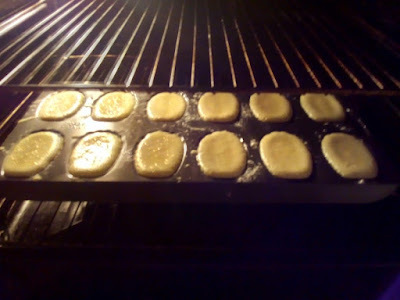 Bake in the oven for 10-12 minutes. 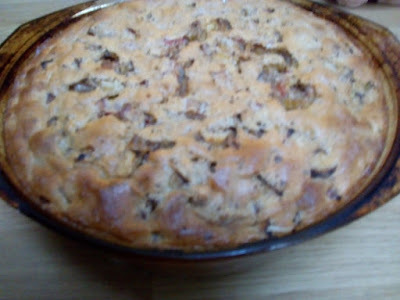 Allow to cool for a minute or so in the mould and then tip out onto a cooling tray. This is where it all went wrong for me. Mine stuck! I think I filled the mould a little too much. They tasted delicious though! I was disappointed they didn't have the signature shell like appearance but they soon got eaten. The lemony flavour was lovely and subtle plus the texture was the lightest cake I've ever made. So light and soft to bite into. I made them twice but they stuck fast both times. C'est la vie! 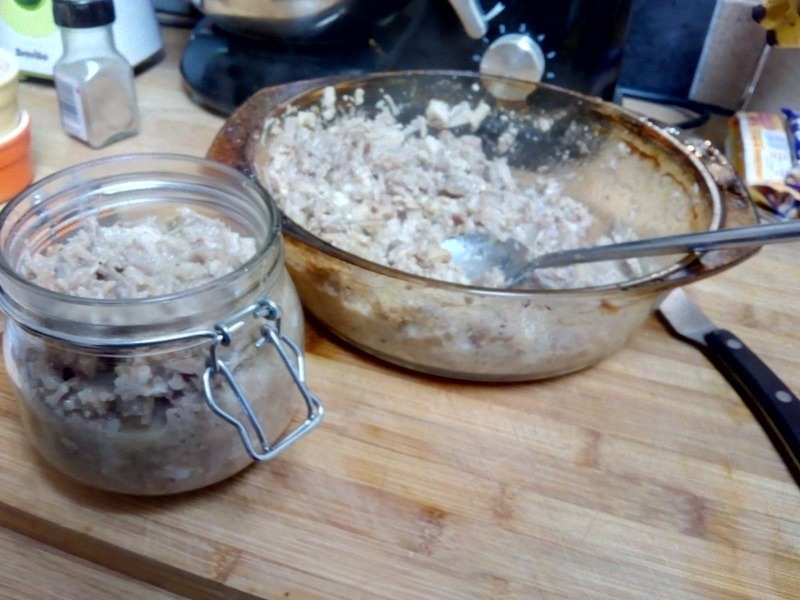 A rillette is a type of coarse meat spread similar to pâté. Often made with pork but can be other meats or fish too. Usually served on toasted bread or crackers. Sounds delicious to me. 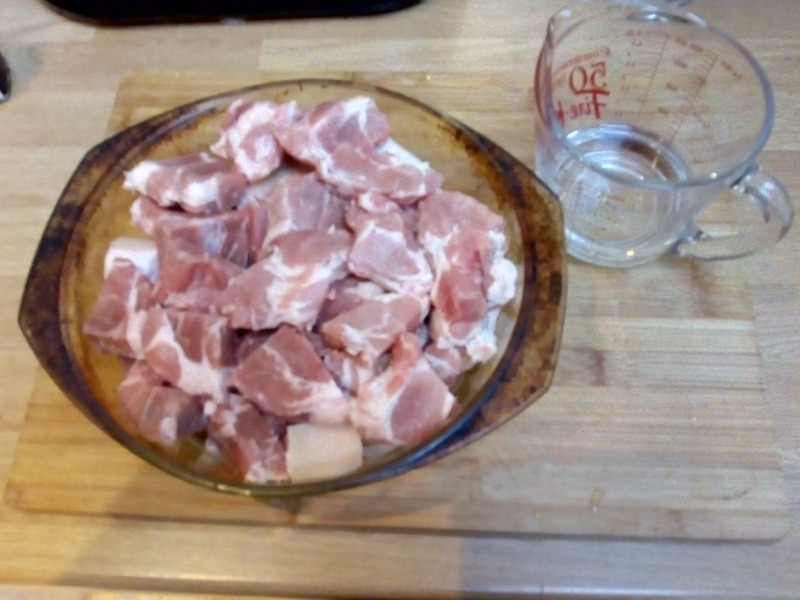 Cut up the meat into 1 inch pieces and place in an ovenproof dish. 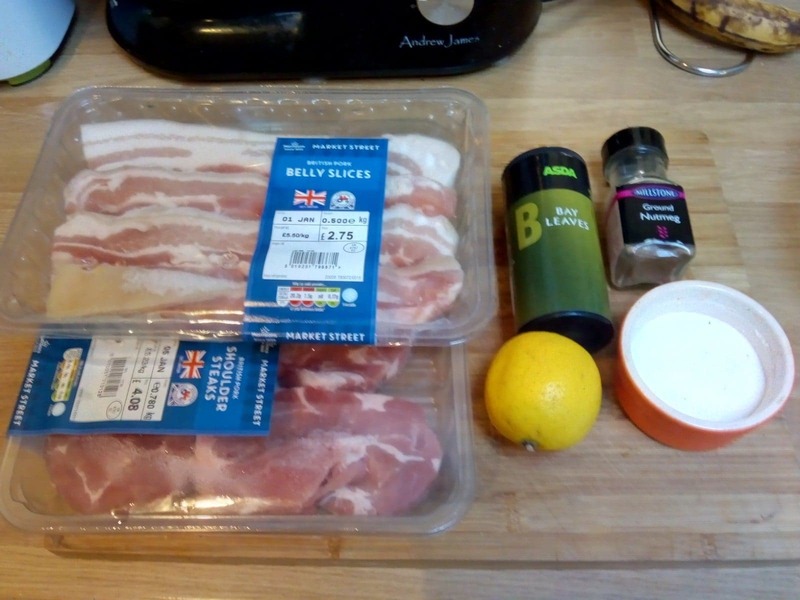 Add the bay leaves and half a cup of water. Cover with foil and braise in the oven for about 3 hours at 150C. Remove from the oven and pour out any liquid into a measuring jug. There should be about a cup of fat/water. 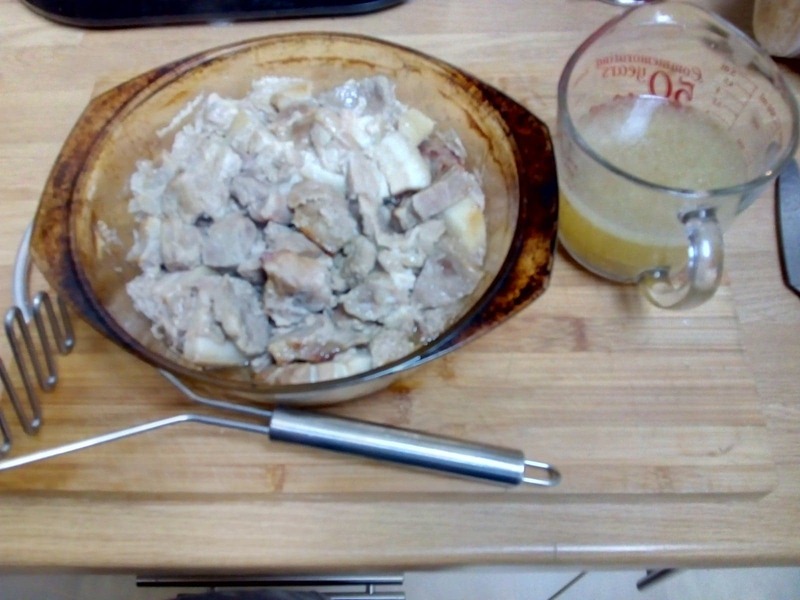 Using a potato masher break up all the meat. It should be really soft and break apart easily. Add 3/4 of the liquid back to the dish and mash up more. Season with salt and pepper. 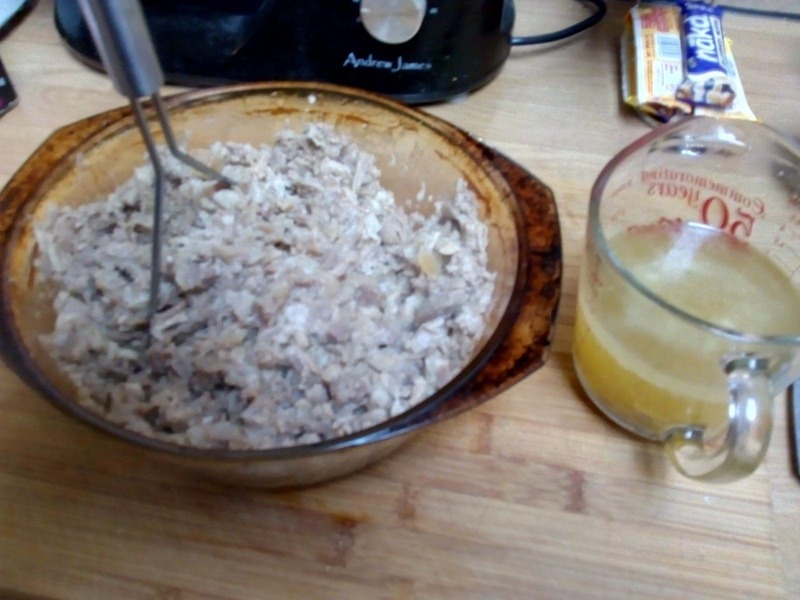 Add the nutmeg and the juice of the lemon. Put the mashed meat in pint sized kilner jars and then put in the fridge so the fat can set. Leave them there for about 2 hours (longer if possible). I loved this! 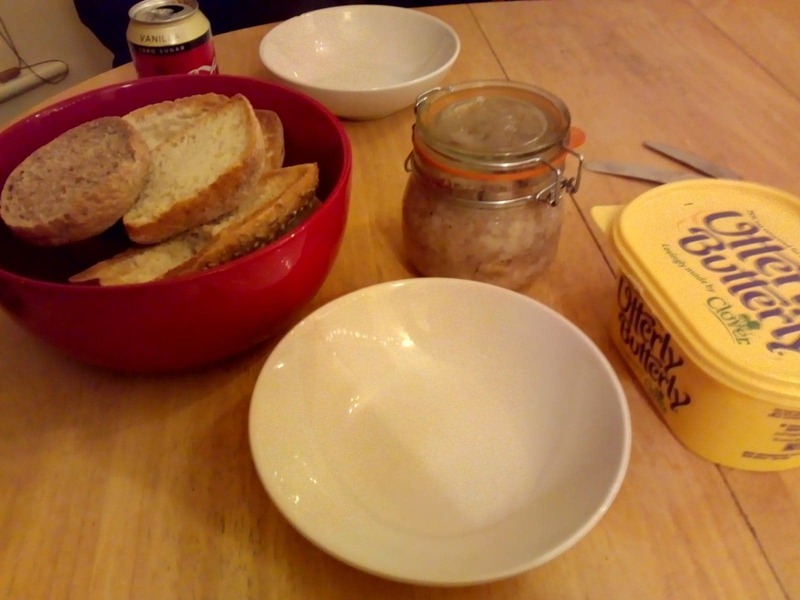 I wish I'd made it a bit saltier as it mellows out in the fridge some. It was great on toasted crusty rolls. Really meaty and satisfying to eat. I was in such a hurry to taste it that I only took this terribly blurry picture of it on a roll. Sorry about that. That just adds to the sincerity of my enjoying it so much, right? Pipérade is named from piper, the Basque word for pepper. 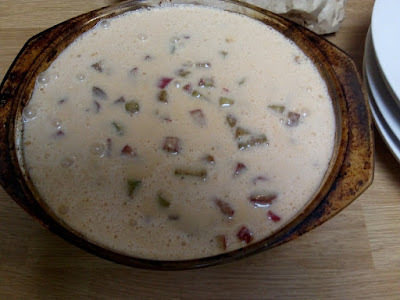 It can be served in many ways as a main or side dish but is most popular with eggs. We love eggs so we had this for lunch alongside an omelette. 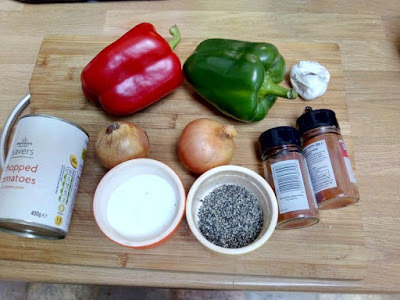 Slice the onions and peppers thinly. 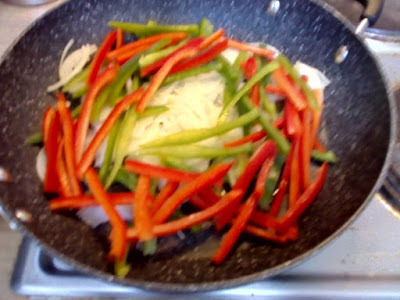 Saute them in the oil until softened. Mince the garlic and add to the pan along with the tomatoes and spices. 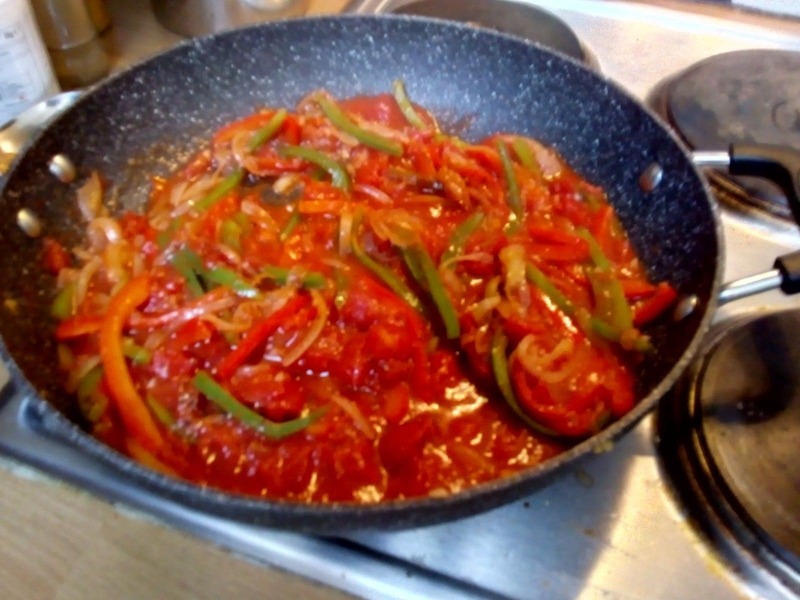 Continue to cook stirring well until the tomato liquid has thickened. Season the dish with salt & pepper. 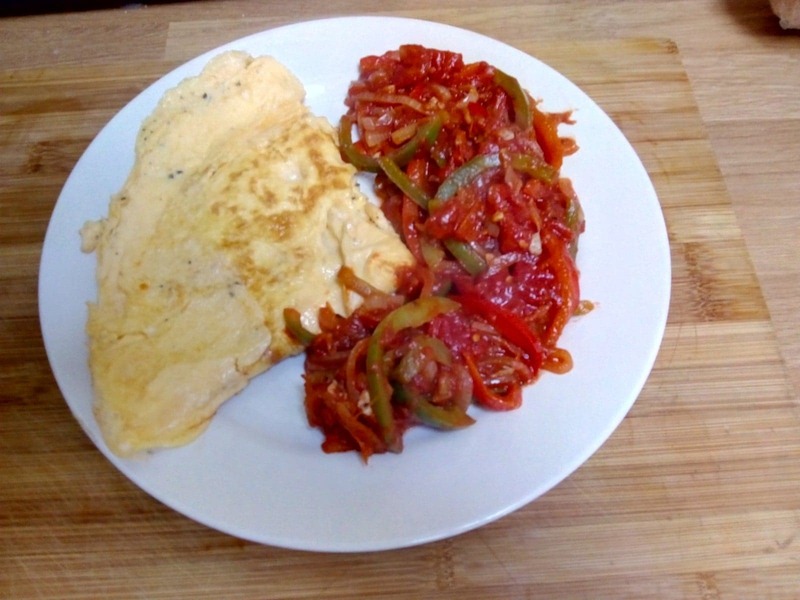 Quickly whip up an omlette to go with it and you're done! We really enjoyed this meal. The Pipérade was nicely spicy from the paprika and cayenne. 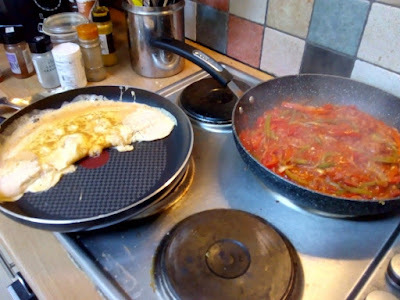 It was different to have a lot of vegetables with our eggs as we often add meat to our breakfasts. It would be great as a side to meat or fish but we would eat it again on it's own too. Tres bonne! Back in June 2011 I made Cheese Gougères for my French entry and I'm starting off with another cheese based dish. This recipe calls for a type of cheese I haven't tried before. 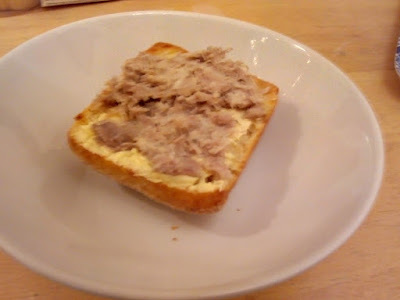 It's called reblochon and is possibly the worst smelling thing I've ever eaten. I bought it at great expense from The Cheeseboard, a cheese shop in Harrogate. The smell took me back to when I worked in a chicken farm collecting eggs. I was probably 14 at the time and when I got home my mum wouldn't let me in the house until I took my clothes off. I stank of chicken poo and that's what reblochon smells like to me. When I asked JD to smell it, it reminded him of his pet duck, Henry, who he had about 12 years ago. So, some kind of bird poo at least. Lovely! 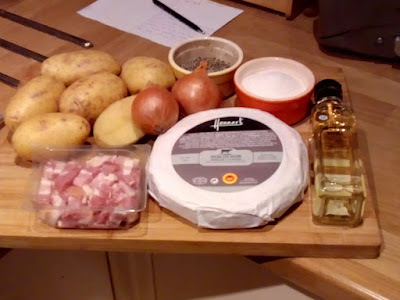 Tartiflette is a really old recipe from the Alps in France. Made as far back as 1705. They must have had no sense of smell back then. Saute the lardons until browned. While they cook you can peel and dice the potatoes. 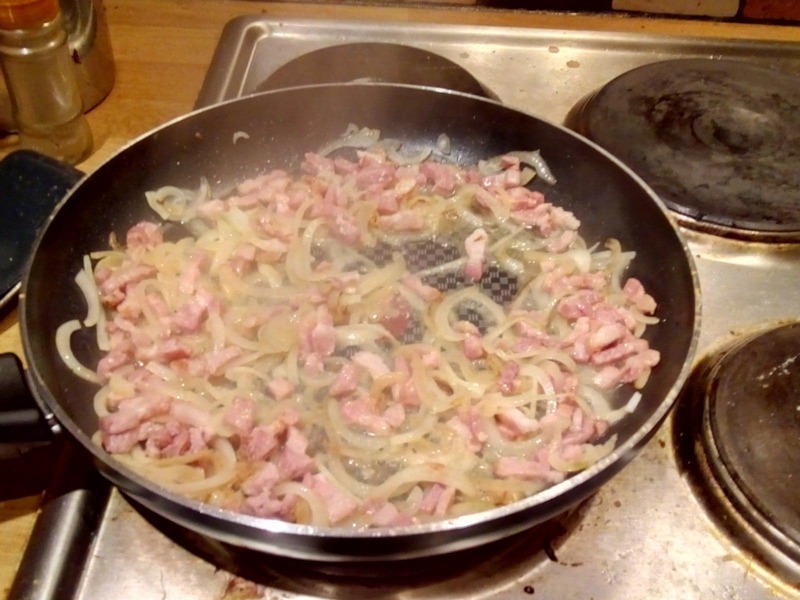 Slice the onions and when the lardons are done remove them from the pan. Saute the onions until softened. 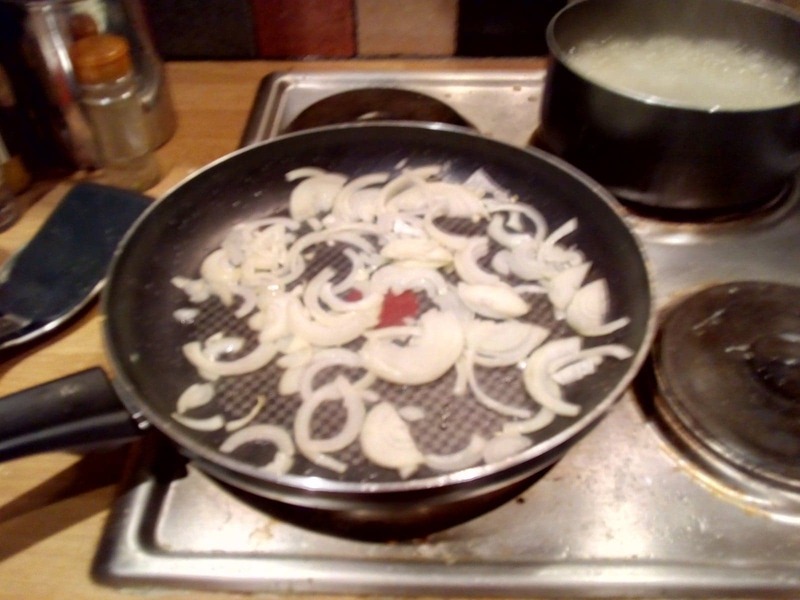 When the onions are soft add the lardons back to the pan along with the wine. Saute for 5 more minutes. 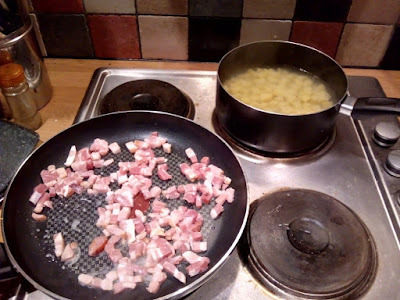 Drain the potatoes (they should just be starting to get soft) and add them to the pan stirring well. Put half the potato mixture in an oven-proof dish. 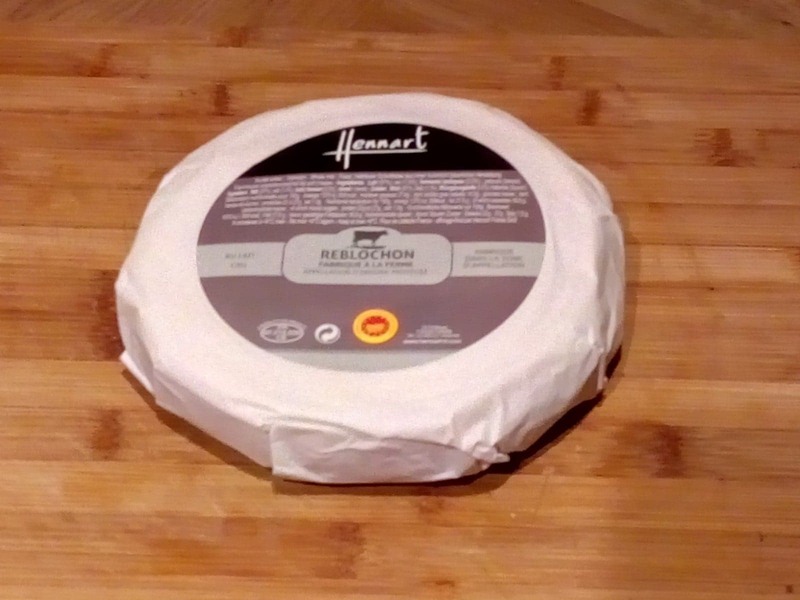 Top with half the sliced reblochon. Use the rest of the potato mix to make another layer and then top that with the last of the cheese. 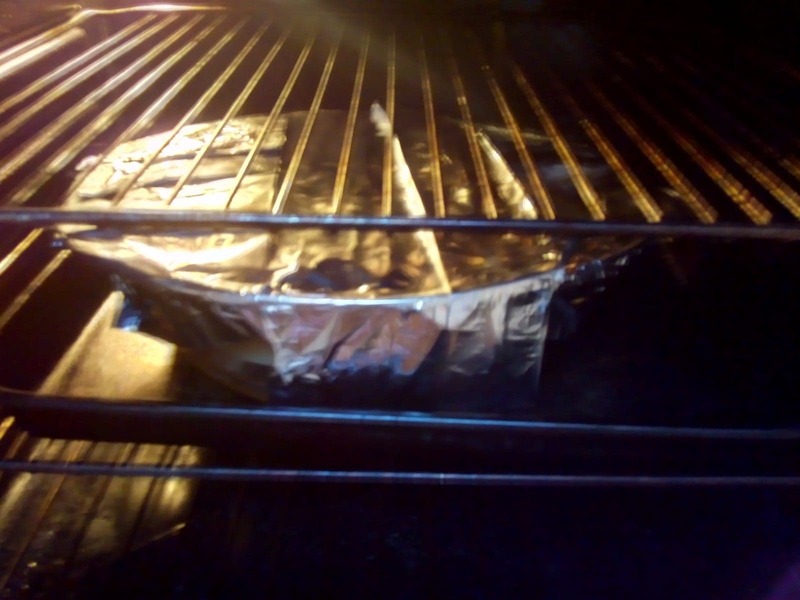 Bake in the oven at 180C for 20 minutes until it's bubbling. 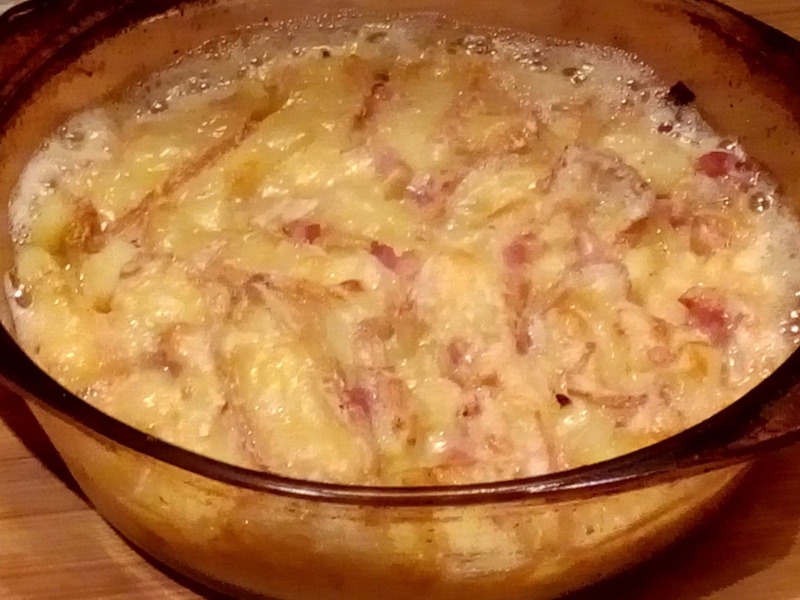 The smell from cooking the Tartiflette filled the downstairs so much that Leigh and Erin didn't come down to eat. They complained even more than the time I made Onion Chutney for my Dad. JD and I weren't fazed though. 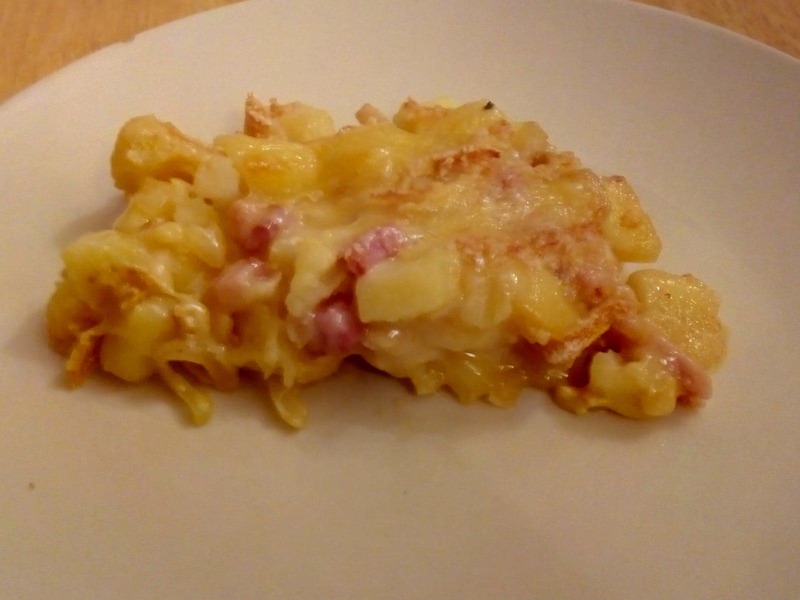 We each ate a portion of the Tartiflette so we could tell you what it was like. It was strangely tasty. It looks like a lovely, cheesy comfort food but as you lift the fork to your mouth you breathe in the smell of the cheese. I enjoyed the texture of the dish, it was creamy with a lovely thick sauce coating the potatoes. The reblochon was too strong to eat very much of this which was a shame. We want to try making it again with another cheese, like gruyere maybe. I've heard people saying that French cheese is smelly but this was my first experience of the realness of that statement! Cream together the butter and sugar in a bowl. 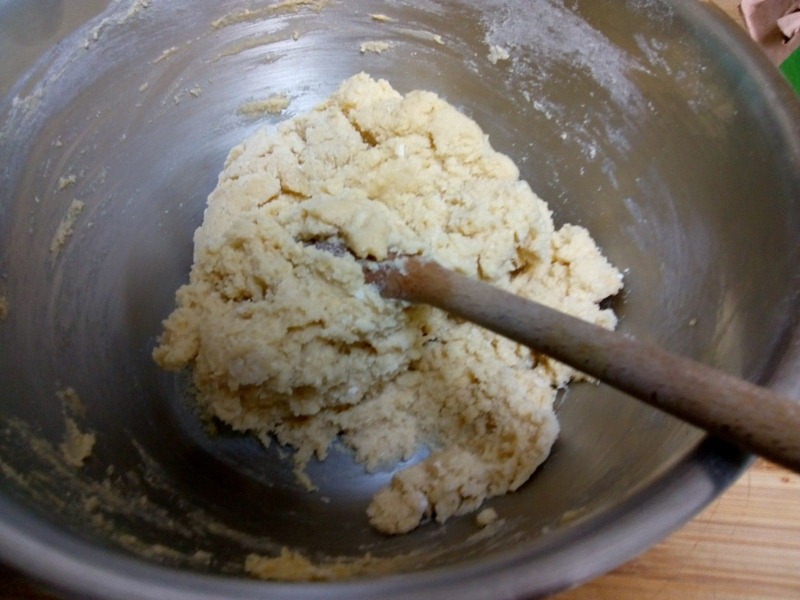 When it is light and fluffy, add the egg followed by the flour and baking powder. 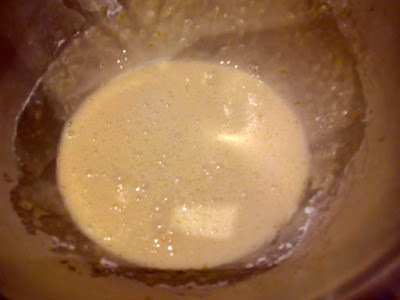 Spread this mixture on the base of a greased oven-proof dish. Use a wet spoon to smooth it out if needed. Chop up the rhubarb into 1cm pieces. 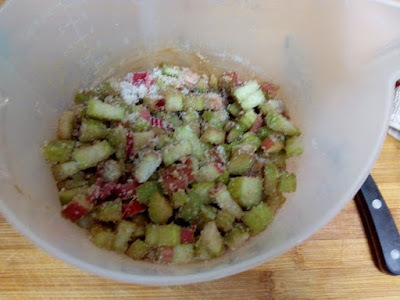 Mix the sugar and cinnamon in with the rhubarb. 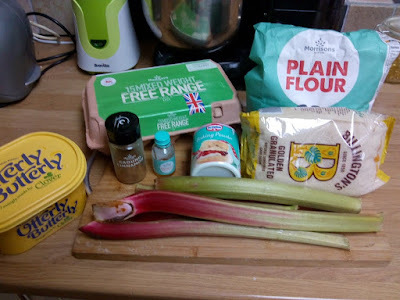 I couldn't resist a couple of sugar coated rhubarb pieces into my mouth here! 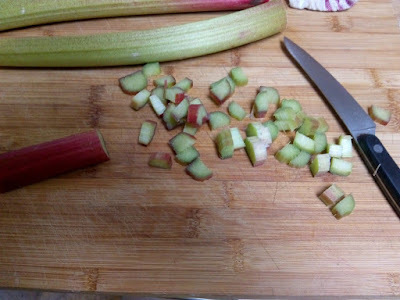 Spread out the rhubarb on top of the smooth base. 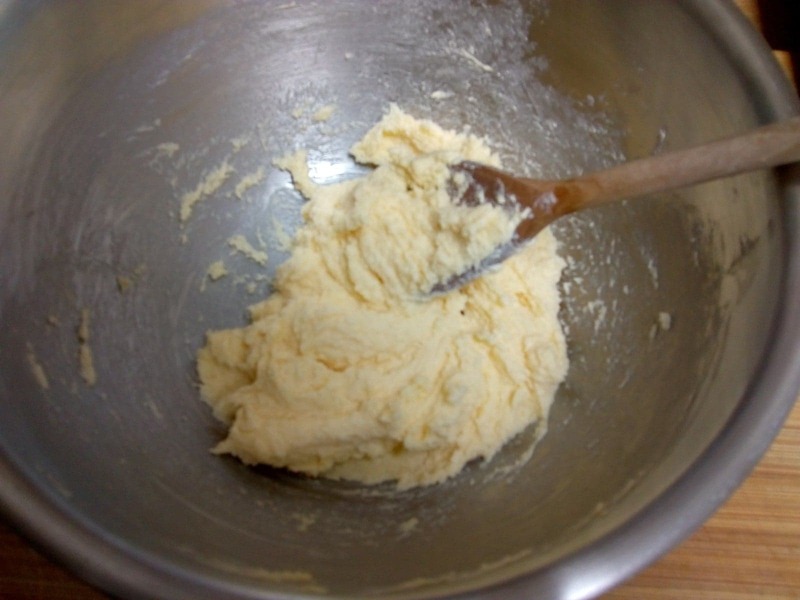 To make the topping, whisk the eggs and sugar together until light and fluffy. 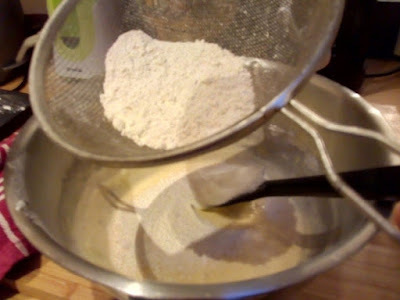 Add the flour and vanilla. 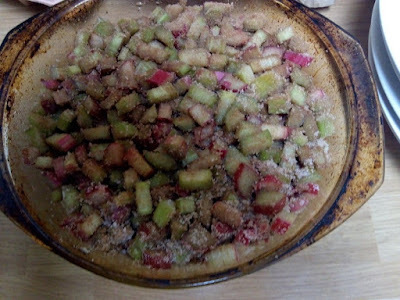 Pour over the rhubarb and bake in the oven at 180C for 30-40 minutes. We had ours still warm with some vanilla ice cream. It was lovely! The rhubarb was still a bit tart and was delicious with the sweet crunchy topping. 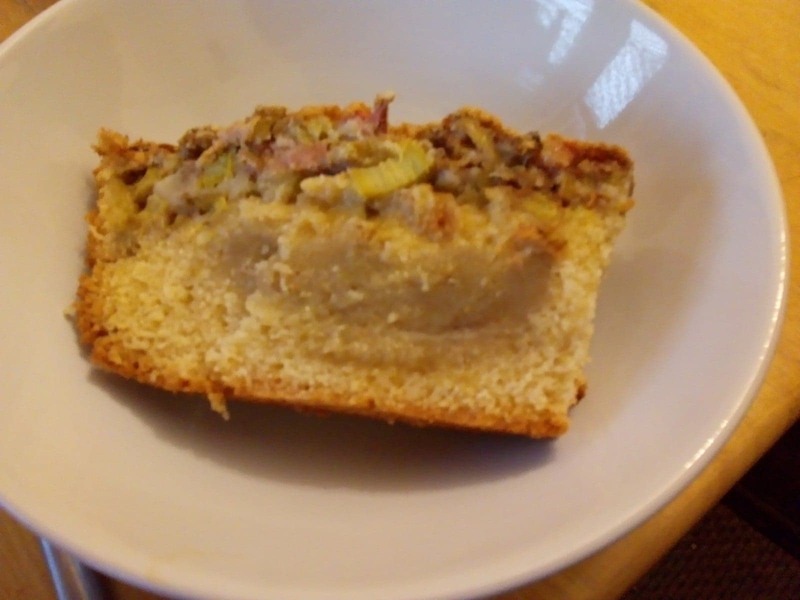 I think the rhubarb was meant to be a bit more central in the cake but it floated to the top while baking. It was still good.